If like me you have been patiently waiting like a child waits for Santa Claus, today is the day Technical Refresh 7 (TR7) for IBM i 7.1 officially becomes available. You can see what is included in this Technical Refresh in an earlier post I wrote called IBM i Technical Refresh 7. It is available as a group PTF, MF99007, you can view the PTF Cover Letter here. In my opinion the most anticipated part of TR7 is the changes made to RPG/free. Now the Control (H), File (F), Data Definition (D), and Procedure (P) specifications are all in free format. Input (I) and Output (O) specifications remain in fixed format. The RPG manual including the TR7 updates, Programming IBM Rational Development Studio for i ILE RPG Reference, can be found and downloaded here (PDF file). The new free format features are integrated into the latest Rational Developer for i (RDi). But you can still use the new free format in PDM/SEU if you turn the syntax checking in the editor off. When you are in SEU press F13, Change Session defaults, and half way down the screen you will see the prompt for Syntax checking, see below, change it to 'N'. I received assurances that the development IBM i I work on will be upgraded to TR7 by the end of the month. I will then be able to experiment with it and share with you what I find. Until then all my examples will be in pre-TR7 style RPG/free. Now I hear that if you use RDi and you have applied the TR7 PTF for the new updated RPG you will find you'll get "syntax errors" with the new code. You need to turn off "syntax checking". An update is promised. 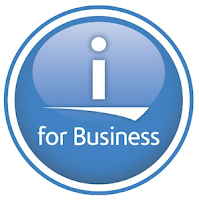 Thank you, for a very valuable resource base for the IBM i (AS/400) and the RPG developer community. Your effort is of tremendous help to both Veterans and Newcomers. I hope no one is still on SEU. RDI is so much better. So after a few days learning how RDI works your productivity will be much higher. I know of several individuals who work for companies that have refused to purchase RDi licenses. I see it very short sighted by their companies. By being able to remove the syntax checking off SEU at least these people can start to learn & use the new RPG/free. Just read on the IBM website that the PTF for the RPG enhancements is SI51094. The PTF Cover Letter is here.